Orrville Red Rider Sports Blog: The 'Red Rider' nickname....Part 2. I knew when I started down this road, that I might not nail the complete story in one blog post. As always seems to be the case, there's another layer to this onion. Got some good reader feedback on this topic, some clues and another newspaper article that helps further establish the time line of the creation of the Red Rider nickname. At the risk of becoming a genealogy blog, I'll keep this short, but want to do my best to be thorough. I never thought that our schools nickname could have been the result of a popular movie or serial from the 1920's, but the following at least makes it plausible. It was brought to my attention by a reader of the site that there was a cowboy themed movie called "The Red Rider." It was a cowboy flick and was released in 1934, which puts it three years after the renaming of Orrville High as the Red Riders. But, this move was a remake of a movie starring John Wayne called "Range Feud" which was released in December 1931...again, AFTER the Red Rider nickname was made official at Orrville High School. 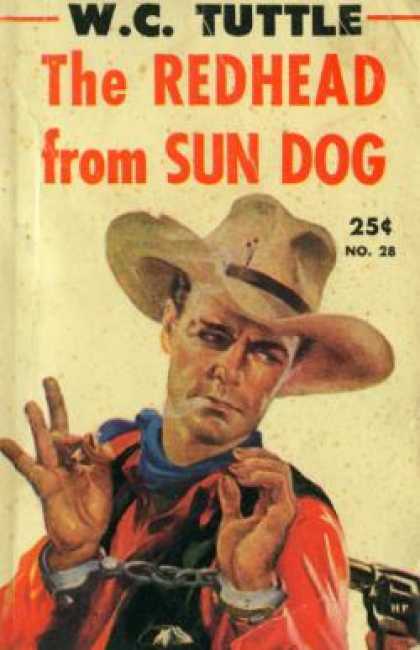 Buuuuut...the 1934 "Red Rider" movie was based on a story called "The Redhead of Sun Dog" by WC Tuttle. It's release date was 1930....or a year BEFORE the Orrville abandoned the Big Red nickname in favor of the Red Rider. Now it's not clear whether "The Redhead of Sun Dog" referenced anyone as a "Red Rider," but it's entirely possible and maybe gave inspiration to Bruce Schantz and Ross Horst. Unfortunately, both are deceased, so unless a family member sees this and can fill in the blanks, it will be lost to history. Being that cowboy westerns were all the rage, it's also possible that the school's primary red color was kept but a cowboy theme was added in the form of the Rider...and Red Riders was born, innocently, and not really connected to any one certain item in popular culture. Regardless, I think it's pretty clear that the 'Red Rider' has some sort of cowboy inspired roots. A question I posed at the end of the original nickname post was about the first appearance of the Red Rider logo. The following letter to the editor seems to shine some light on it. There you go....girl rides horse in cowboy motif at halftime of 1934 Orrville/Wooster game, and the very next month the basketball team is sporting the Red Rider logo (or an early version of what we know today) on their uniforms. I think it glosses over the fact that we were already named the Red Riders in 1934, but maybe this was the first time an actual 'mascot' was used and the inspiration for a logo was derived from this. 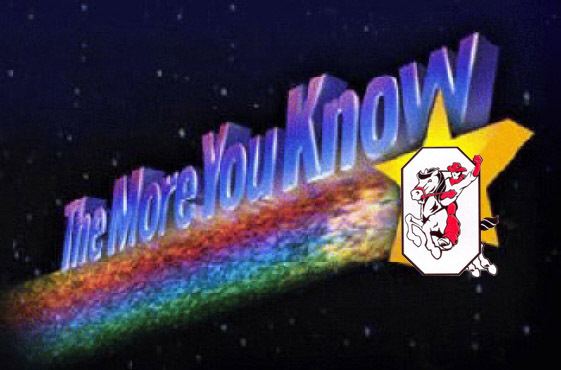 It also dismisses the notion discussed in the 'Wayne County Football History' book, at least according to Ms. Peters, that the Red Rider name was derived from our tradition as a horse trading town. Maybe even giving more credence to the influence of cowboys westerns to the establishment of the Red Rider naming. Thanks to the two readers who sent me this info...and thanks to a third person who helped immensely on the first nickname post. It wouldn't have happened without the help from all of you.